About 2 months ago I got a Pebble time round and have not touched my moto 360 since. Not sure if anyone here has one a Pebble but I've been having fun making watch faces and slowly getting better at it. It started with mimicking this Burbery digital watch, and so began the Schmurbery series! I still don't understand programming (yes it's been 10 years of being annoyed by that) Pebble has been a real. Fun platform to learn on and gives a free online Ide with emulator for all devices with great github.com integration as well as program importing. Anyhoo, that's what I'm playing with now, anyone enjoying Pebble or looking forward to the upcoming Pebble time 2? Here's my PTR with a Seiko bezel glued to the face and one of my faces. 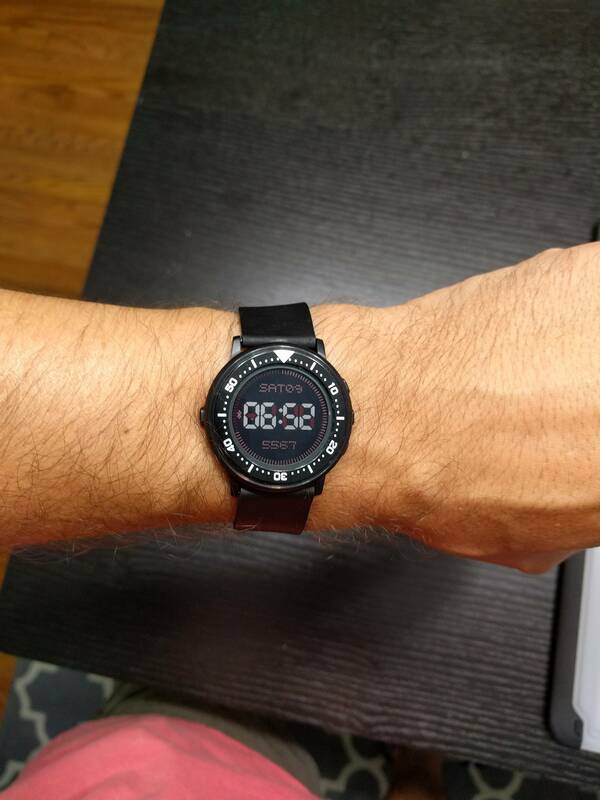 Nice work with the watch faces SchmilK - they look great. Smartwatches are usually too thick imo, but the Pebble Time Round is a great size. Mulling over getting one..
(13/08/2016 05:14 AM)Senseito7 Wrote: Nice work with the watch faces SchmilK - they look great. I say do it. You can find them for under $150usd now, some people getting them for $50-75 at Target on clearance. I'm amazed at how thin the round is, and I easily get more than 48 hours battery.